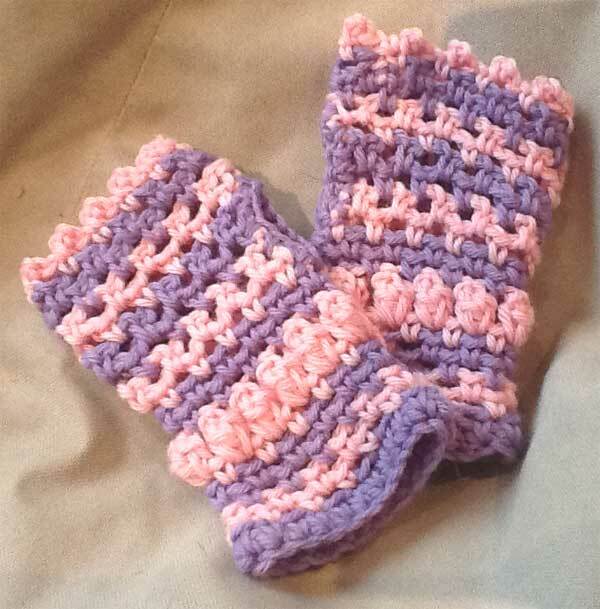 More warm and toasty handmade crafts to contemplate. 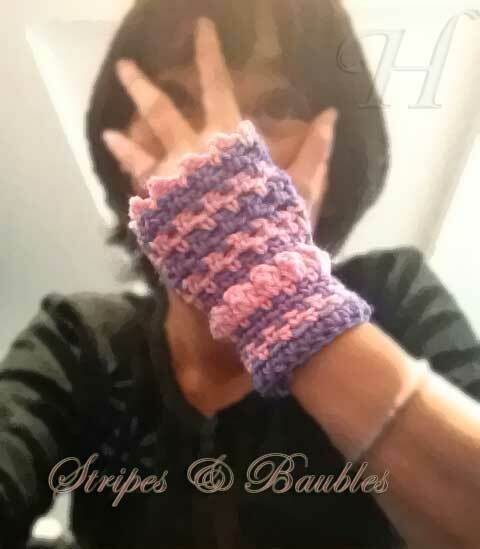 This new addition is in Pink & Mauve, worked in stripes, accented with baubles at the wrist. This is another in a series of little hand warmers for 2012 - entitled "Stipes & Baubles". It features a semi-lacy look and suitable for taking you with warmth and color through the day. Anyone into handicrafts will truly enjoy the uniqueness of this piece. It has a feeling of fun and functionality, of sportiness and feminine briskness. 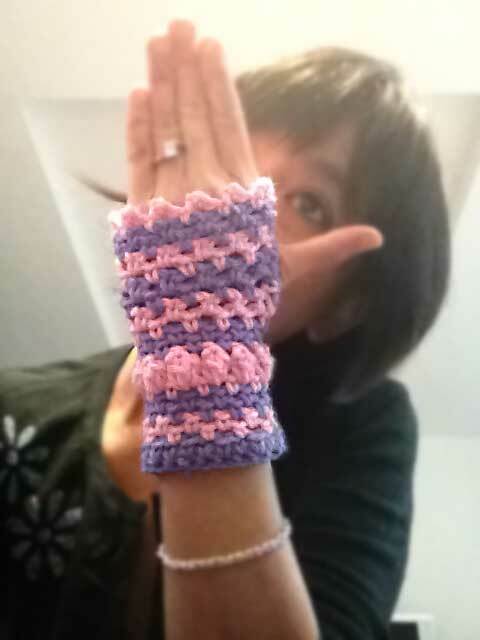 This has been another fun addition to the my fingerless collection. 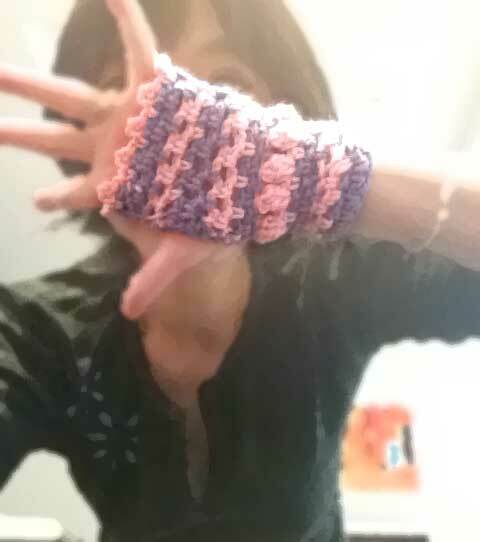 It is guarantee to keep you fingers free, active, yet warm and cozy. This time round, as the stitches are quite basic, I am not going to write down notes on crochet stitches used. Instead I refer you to the photo below which is quite illustrative in themselves.